Handicapped parking is available near the gymnasium. 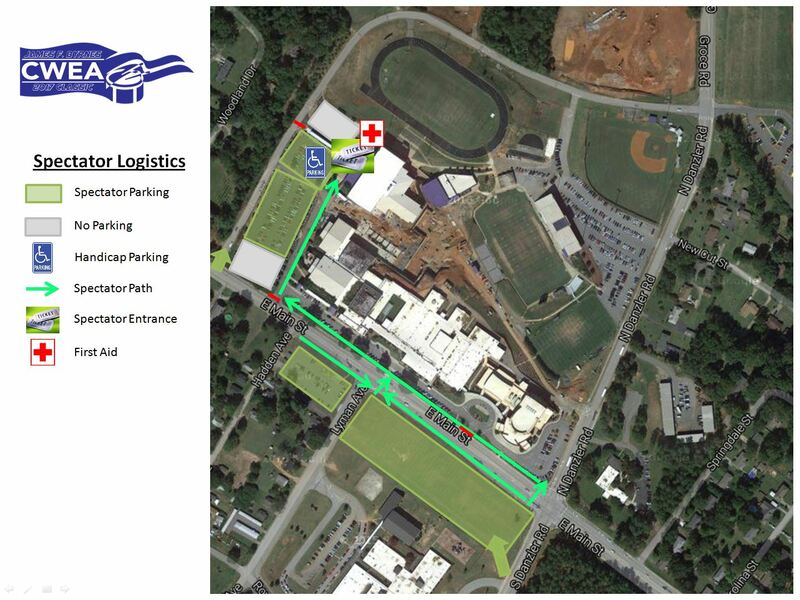 Additional parking is available across the street (SC 290) from the high school in the field at Duncan Elementary School. Spectator vehicles may not follow the buses into the bus parking lot. Cars and other personal vehicles should park in designated spectator lots. Bus parking information is provided in the Directors section.